newspaper or elsewhere on the internet. Save up to 70% Reduced fares, FREE upgrades and generous extras Check out our top weekly cruise deals to Alaska, Caribbean, Europe and beyond. When you explore the world with Shore Excursions Direct, there's no limit to what you can do. We feature over 5,000 Shore Excursions* in more than 30 countries, each meticulously crafted to compliment a diverse range of interests and ignite your sense of wonder, inspiration, and adventure. We've showcased some of our top-rated tours so you can easily select and enjoy activities that match your passions. From sea to shore, from must see sights to must-do adventures, to departure dates, everything you need to know about shore excursions before you go on your cruise. Such as our Ultimate Shore Trips List. The definitive guide to what to do ashore on your next cruise....read about exciting locales in Destinations Uncovered...or learn more about our readers favorite shore tours for the kids and teens, seniors or active couples. All the Tips and tricks to have a successful cruise vacation. Check out the Traveler's Picks: Top rated tours before, during and after your cruise. Shop for pre-and-post cruise things to do. Book tours, read up on things to do & day trips. 450+ destinations, 500+ tour reviews & photos. Shore Excursion Reviews, trip planning & tour tips from real travelers. Use the Shore Excursions Finder Research over 5,500 Discount Shore Excursions and Sightseeing Tours. Select your Cruise Shore Excursions from thousands of possibilities. Order them online, at lower than cruise line prices! Over 5,500 Discount Shore Excursions and Sightseeing Tours. Many priced as much as 50% off what the cruise line charges. Find shore tours, excursions and activities hand-picked by local experts! Worry-free shore excursions, all offer a timely return to your cruise ship! Unbiased shore excursion reviews & ratings: The shore excursions readers are talking about. Cruise Reviews, Cruise Vacation Planning and Advice, Cruise Tips and Tools at Cruise Direct Online, The Cruise Travelers Ultimate Insider's Guide to Cruising. Over 12000 Itineraries. One of the largest Cruise Information sites available for your cruise planning needs. Search and Save! Are you a cruise traveler? Need any help planning your upcoming cruise or vacation? At Cruise Direct Online, we offer every cruise option, from the fantastic value of the most popular lines, to luxury, and river cruises � all at the best prices. 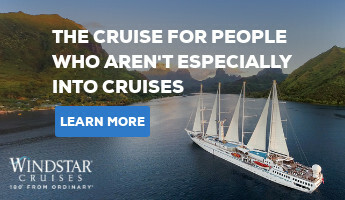 Plus, many sailings also come with Exclusive Bonus Extras that give you added value and when combined with a great cruise rate aren't available anywhere else, like onboard cash credits, reduced deposits, free upgrades, special offers, or more. Aside from cruises, you can also count on us to help you with personal planning advice for every cruise vacation possibility no mater if its just a cruise, or a land + sea vacation [cruisetour], including customized trips, coach and rail tours, and insurance. Our staff our Certified Cruise Travel Experts with at least 20 years experience each. So, take advantage of our expertise and experience. And did we mention, all our services are complimentary! Never any agency or booking fees. We'd love to help plan your next trip. Do you have a cruise vacation already in mind? The greatest compliment we get are the referrals from our past guests. Take a moment and read what our guests have to say about us. Then, let your friends, family, or colleagues looking to plan a vacation, give us a call. If they book with us, we'll pass on a special bonus extra for the referral! on the Most Popular Cruise Lines! Cruise on the world's most popular cruise lines including Princess, Royal Caribbean, Celebrity and Norwegian. On Cruise Direct Online, you're guaranteed to find deals on cheap cruises and offers from up to 24 leading cruise lines and ships. Over 12,000 Sailings! When you book cruises with Cruise Direct Online you can be confident that you will find the cheapest cruise line prices available. Cruise Direct Online and save! Feel Free To Cruise Through Your Bucket List. Flexibility and Choice : CRUISE TIPS : Did you know you can choose to purchase your shore excursions directly from the cruise line, or consider smaller, more intimate, more in-depth shore excursion experiences from an independent shore tour operators. Which way is best for you? We are the easiest way to get quick access to all the discount cruise deals, last minute specials, and cruise line promotions you didn't find in your home town newspaper or elsewhere on the internet. Travel bargains you wouldn't otherwise know about, with Savings up to 70% off! We're here to help answer all your questions and provide more information. Call us at 800.365.1445 No need to pay now. At Cruise Direct Online, book a Courtesy Hold for your cruise today, then in a couple of days, put down a deposit and pay the rest later. Reserve now and, in most cases, you can make the remaining payment(s) later, around 60-75 days prior to sailing. >> Find over 5,000 Shore Excursions Here. Cruise Travelers like you get to cruise the world for less. Find over 12,000 cruises now! You may be eligible for "unpublished" Onboard Spending Credits, Cash Back, Cabin Upgrades, 2 for 1 Fares, Low Solo Fares, Kids Sail Free or at Reduced Rates, Lower Deposits, Reduced Airfare, Senior Rates, Military Discounts, Mini- Group Rates, or Past Guest Deals not shown online. To get the latest up-to-the-moment special offers, discount prices, current fares, savings and cabin availability call us at 800.365.1445. Over 24 cruise lines represented. Or use the quick links below to six of the most popular cruise lines. Cruise Direct Online offers travelers not only a content-rich online experience, but access to certified cruise travel professionals with a wealth of knowledge and expertise. We have Certified Cruise Experts who are eager to help you sort through all your options, answer all questions, give you their best advice and help you book your cruise or cruise tour. Certified Cruise Vacation Planners have years of hands-on "been there done that" destination experience and expertise in cruising. Check out the deals below or call us at 800.365.1445 Today! NORWEGIAN CRUISE LINE: For a limited time, NCL is offering free drinks, free specialty dining, a shore excursion credit of $50 per port, free Wi-Fi, a friends and family sail free offer, and discounted airfare when you book a balcony cabin on select sailings. CELEBRITY CRUISES: For a limited time, save up to $600 on almost every sailing if you reserve an ocean-view stateroom or higher. Their non- refundable deposit fare option allows you to choose any 3 from these free perks: a beverage package, unlimited wi-fi, prepaid tips, or $150 per person to spend on board. ROYAL CARIBBEAN CRUISE LINE: Get 60% off a 2nd passenger's cruise fare on select 2019 Royal Caribbean sailings to Alaska, Cuba, Caribbean, Canada and New England. PRINCESS CRUISES: From Alaska to Europe, on many voyages, get an airfare credit of up to $200, a free specialty dining night, and an onboard credit of up to $900, depending on cabin choice, will apply! HOLLAND AMERICA CRUISES: Free cabin upgrades, discounts on shore excursions, air credit of up to $1000 on Europe sailings, and reduced deposits is their WAVE deal. VIKING RIVER & OCEANS: Cruise Europe's iconic rivers at a reduced rate with airfare as low as $499 on Viking's Rhine River itineraries or, if you prefer a Danube River cruise. These offers have varying expirations dates, rules, and restrictions, so call us at 800.365.1445 for all the details. What is Included? A Whole Lot! The rates you find for Alaska Cruises and Cruise tours at this website may not reflect the lowest rate available ! Know what you want? Searching for the best price? Get a FREE no-obligation Cruise Price Quote e-mailed direct to you. Insider tips -- You've hit it big: Find top cruises that sail the Caribbean for less! They Like us! Find out why. >> Important health-related information to share with your family. Discover the Last Frontier of Adventure For cruise travelers looking to answer the call of the wild, nothing beats an Alaskan adventure with Alaska Cruises Direct. Visit our web site or call us at 800.365.1445 to learn how you can feel the rush of the last frontier. We'll introduce you to Alaska's Best Alaska Cruises and Land+Sea Vacations. You'll get great tips to encourage you to try Alaska, plus our Certified Alaska Cruise Tour Experts will weigh in on the best way to experience this bold destination - by land and sea. Don't miss out on this unique opportunity. Learn all about... Cruise tips for Alaska cruises to help you save more money... The Cruisetours experience with our Certified Alaska Experts... Special Alaska offers we will share with you. Alaska's bald eagles truly have a bird's eye view of some of the most stunning scenery in the United States, including the famous Mendenhall Glacier. Fortunately, you don't have to be a bird to share their aerial advantage. A helicopter tour is a must do and the best way to see the glaciers and icy waters of this popular place. Alaska Cruises : Glacier Viewing. Up Close! "Hi Marty! I just wanted to take a moment to thank you so much for all that you did for our family/friends cruise on Royal Carribbean's Legend of the Seas. My family loves the RCCL line....and as concerned as I was that we had little ones coming on this vacation, I was SO impressed with the Ocean Adventure's Club. My two little ones wanted to be there all the time. I now have no reservations about bringing them on another RCCL cruise, the staff is just fabulous! When I originally started to research cruises and Travel Agents to help with the process, I was overwhelmed (Let's face it, sometimes the internet can be a good thing and sometimes it can be a bad thing). I am so happy that I can across your website. I sure didn't expect the response that I received from our family and friends when I started planning the cruise, and you were there every step of the way putting up with my cabin changes, adding new guests at the last moment, and removing guests in some cases, too! You were amazing and I know for a fact that you are responsible for our worry-free and amazing journey through the Caribbean. Everyone that joined us on the cruise was extremely impressed at how well the whole thing fell together with little trouble on their parts. Again I can not thank you enough, and don't forget that we will be planning another one !. Explore Family Cruises "
Cruises. They're not just a vacation. They're the time of your life! Questions? Just call us at 800.365.1445. Sometimes it pays to put yourself in the hands of the experts. Discover extraordinary fun, must-do experiences and savings with a well-planned Cruise Vacation. Planning a trip can become like a second job. So many decisions. So many websites. Enough information to fill a book, actually, hundreds of them. That's where we can help. We've organized all the must-see, destinations, sights and must-do adventures into a single cruise vacation site, Cruise Direct Online. You'll get expert guides, find great advice and service, and learn how to maximum the amount of time in each port to enjoy your vacation. We save you the precious time it takes to organize your cruise vacation and preview the ultimate shore side experiences during your cruise vacation. And, on top of that, show you where to find value priced cruises to save you money. All you have to do now, is relax and enjoy your cruise vacation. There's so much to do on - and off - a cruise. Sure, you know the ship's gonna be a blast. But what happens when you walk down the gangway into a port? Well, we've got the answer: a full-fledged fun bonanza! We've tracked down the coolest stuff in every port - from the best tour operators which means you can be sure the good times won't slow down just 'cause you're leaving the ship. So go ahead...snorkel, zip-line, ride a 4X4, swim with dolphin, shop or just relax on the beach. We've got tons of great shore excursions for you to try. So, save money and escape the crowds on shore excursions in the Caribbean, Alaska, Europe, Hawaii, Bermuda, and Mexico. We are here for you with one-on-one support and personalized cruise vacation planning help. Whether you need help finding the right cruise line, cruise ship, destination, ports of call or shore excursions or want to learn more about us, a professional Certified Cruise Vacation Expert is just a toll-free phone call away. To get started call 800.365.1445. *The shore excursions featured at this website are sold by the Shore Excursions Group, or Shoretrips. These companies are responsible for all sales, customer service, refunds or adjustments related to the purchase of shore excursions. Once booked you will be dealing directly with them. Travel Direct Corporation is not responsible for the sales or merchantability of these travel suppliers. Did you know travel insurance companies have the right to look back into a traveler's medical history up to the defined period of time stated in their policy to determine whether an incident is related to a pre-existing condition. Most consider a pre-existing condition to be a diagnosed illness or medical concern that has not been "stable" within a defined period (typically 60-180 days) prior to the consumer purchasing insurance. Generally, "stable" means the condition has not changed or worsened in any way; no new diagnoses, treatments, medications were prescribed; and no pending or initiated treatments, scans or test results were planned. Each policy is different, so you must call the insurance provider yourself, not just reading the details online and discuss your specific situation. Otherwise you may find your claim rejected, if it does not fall within the conditions of the policy. Most third-party insurance companies stipulate that you must buy your travel insurance policy within 10-14 days of making your initial deposit on your trip in order to be eligible for the pre-existing conditions waiver, so benefits will be paid without looking into the traveler's medical background if a claim is made. In some cases, waivers require no additional paperwork and no additional fees, but in others a fee will apply. We are here for you with one-on-one support and personalized cruise vacation planning help. Whether you need help finding the right cruise line, cruise ship, destination, ports of call or shore excursions or want to learn more about us, a professional Certified Cruise Vacation Expert is just a toll-free phone call away. Call us today at 800.365.1445. The call is free. The advice is free. And there is never an obligation to book.